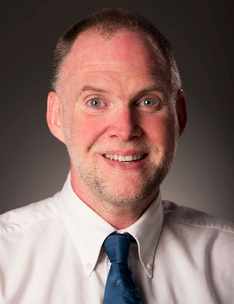 Craig Keener is a professor of New Testament at Asbury Theological Seminary. He received his Ph.D. in New Testament Studies and Christian Origins from Duke University. Prior to Asbury Theological Seminary, he was professor of New Testament at Palmer Theological Seminary of Eastern University for nearly 15 years, where he was also one of the associate pastors at an African-American Baptist church in Philadelphia. He has authored a number of commentaries on New Testament books as well as books covering a range of topics on Jesus, Paul, miracle investigations, and the African-American church. Please understand that I recognize that every Christian’s experience of coming to Christ is different. I am simply recounting my own story. By the age of nine I was openly asserting that I was an atheist. Although I thought I had sound philosophic reasons for my view, I did not disrespect all religions (and especially enjoyed studying ancient Greek and Egyptian ones), if I believed that those who followed them had some genuine reasons for their belief. Yet it seemed to me that of all the religions of which I was aware, only Christians did not take their faith very seriously (a perspective I unfortunately extrapolated based on the assumption that most Americans were Christians); I reasoned that if one really believed that there was a God, one would give God everything one was and everything one had. I thought that atheism was “smart.” When my grandmother argued for a first cause, I replied by postulating an infinite regression of causes (my arrogance left me unaware that my response violated modern physics!) Yet unknown to me, my father’s mother, sister, and the sister’s family were praying for our family. When I was 13, reading Plato raised for me the question of life after death, but Plato’s answers did not seem adequate. I began to realize that only an infinite Being could guarantee the hope of eternal life. Yet if such a Being existed, there seemed no reason why that Being would care about me, even if that Being were perfectly loving enough to give life to some. I was incurably selfish and undeserving of a loving Being’s attention; it seemed to me that if I pretended to love, it was only for the self-serving purpose of getting that Being’s attention. Yet shortly before I turned 15, I began to secretly cry out, “God, if You are there—please show me.” Months passed with no resolution. Eventually, one day when I was walking home from school, a couple students from a fundamentalist Bible college cornered me and asked me if I knew where I would go when I died. I argued with them for 45 minutes, as they tried to explain about Jesus’ death and resurrection bringing salvation, something that made no sense to me. Finally I hit them with what I thought was the ultimate question: “If there’s a God, where did the dinosaur bones come from?” If one asks a stupid question, one usually gets a stupid answer. They replied that the devil put them there. I was so annoyed that I started to walk off, and they warned me that if I kept hardening my heart against God, I would end up in hell. Although I tried to shake off their words, I found myself terrified the entire way home. Despite their weakness in paleontology (i.e., the nonsense about the devil planting dinosaur bones), they had spoken to me truth about Jesus. I had wanted God to give me empirical evidence, but instead God confronted me with the reality of God’s own presence. I had studied various religions and philosophies in the encyclopedia, but what I was experiencing now was on a completely different level. As I got to my room, I was so overwhelmed by God’s presence and the demand it made on my life that I felt only two options—I had to either accept or reject the demand of my Creator, and God was not going to let me alone until I did one or the other. My knees buckled out from under me, and I cried out, “God, I don’t understand how Jesus dying and rising from the dead can save me—but if that’s what You are saying, I’ll believe it. But God—I don’t know how to be ‘saved.’ So if You want to save me, You’re going to have to do it Yourself.” Suddenly I felt something rushing through my body like I had never felt before. Indeed, it frightened me! I did not understand what had just happened, but I knew that God was real and that I must now give God everything I was and everything I had. That was the beginning of my Christian life, more than 30 years ago. Two days later I walked into a church and the pastor asked if I was sure I was truly “saved.” Since I was not sure about whether or not I had accepted Christ “properly,” I prayed again, this time led by the pastor. Afterward I was overwhelmed with the awesome majesty of God again, but this time I was not afraid. God was so awesome that I knew that I could not praise God enough unless the Spirit of God gave me the words to do it. It began to come out in a sort of language I did not know; I had never heard of this experience before, but it was wonderful. Over the next couple years, I led about fifty other people to Christ, including one of my younger brothers. Knowing the anguish of my own prior despair without hope in God, I was consumed with passion to reach others for Christ. Passion to serve God, who intervened to draw me to a new life and hope at a time when I had no eternal hope, has continued to motivate me in the subsequent years of ministry in the church, as a teacher of pastors and teachers, and as a Christian writer. ← Jesus’ Miracles in John’s Signs Gospel. It is amusing how the Lord used people who’s paeleontology was not too accurate, but their sense of urgency about eternal things was top! Yes, such ignorance is often amusing, albeit disappointing to those who value knowledge. It can also be an excellent indicator of the reliability of their other ideas, too. I love Dr. Keener as he is truly a man of God! I purchased his “IVP Bible Background Commentary: New Testament” and highly recommend it. Reblogged this on The Caring Mind . So, basically, his fear was the deciding factor. He was terrorized into it. I’m a little sad, now.